In the last few years, diversity has become somewhat of a buzzword, and having a diverse group of people working together is seen as a boon. Diversity can easily benefit companies of all sizes in many ways. To state the obvious, with a diverse group of employees, you are guaranteed to have a wide spectrum of ideas, backgrounds and skills that can help your organization develop more and quicker. But aside from incubating more ideas and skills, are there any known benefits for companies to actively employ members of diverse groups? 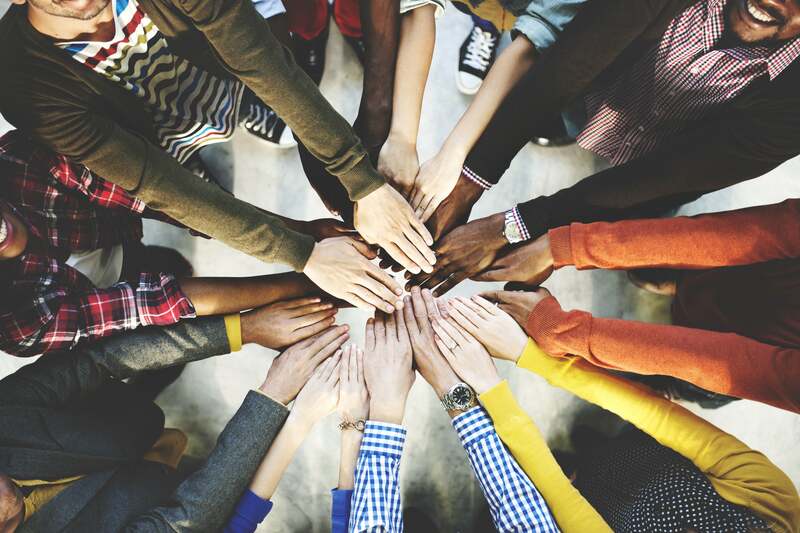 How does workplace diversity improve your bottom line? There is something strikingly honest about an organization’s workforce reflecting the community it serves. For example, if you were to open a school catering to students in a provincial area in the Middle East, but then fail to hire any local talent either as educators or administration, your school would fail to represent the community it serves. Similarly, if you were to start a marketing agency, but none of your marketers are representative of the demographics around you, your business might seem somewhat foreign or disconnected from your clients. Besides the disconnect from your audience and potential clients, the lack of diversity might cause your organization to suffer from tunnel vision. You might find yourself chained by tradition and struggle to find new and innovative ways to provide your services. Not only that, but diversity nowadays is seen as an attractive workplace attribute by many professionals and job seekers. In a recent Bayt.com survey, entitled the Bayt.com Ideal Workplace in the Middle East and North Africa Survey, it was revealed that seven in 10 respondents in the Middle East believe diversity is important. Of those, nearly four in 10 respondents claim it is an “extremely” important workplace attribute. Despite this, when asked whether or not they feel their workplace encourages diversity, just 27% of respondents believe their current workplace does so. If your organization was seen as one that actively seeks and encourages diversity in the workplace, it would automatically increase your attractiveness to talent in the region. When looking to hire, one thing you should look out for is whether or not you share values with the candidate. First, you should identify the values you consider most important when it comes to your workforce. For instance, these values could include honesty and open communication, passion, empathy or team spirit. Whatever these values may be, they should form your primary criteria in assessing whether or not a candidate is a good fit for your organization. Once you have identified your values, make sure you highlight them in your job posting, or any other mechanism you choose to hire through, and then you will be able to scrutinize candidates based on these alone. Candidates should be able to demonstrate their honesty, drive and empathy by citing past experience, whether it is professional or academic. For example, if you are interviewing a fresh graduate for an entry-level position, you could ask about any projects, assignments or extracurricular activities they undertook which can display how they have applied the soft skills they claim to have. Looking for values is different than answering the question of: “Would I want to have coffee with this person?” The tendency with this socially-based test is to look for candidates who are either similar to yourself or relatable. Identifying a set of key values in candidates, however, will highlight a more diverse range of qualified candidates who will strengthen your company culture. Of course, ideally, we would all like to have a personable relationship with the people we hire, however our personal subjectivity might get in the way and cause us to overlook a talented, diverse candidate who can add unique value to your company. One big setback in attempting to hire with diversity in mind is that manual screening tends to leave too much room for bias. This is not only normal, it’s human, with studies indicating that all people have implicit biases that shape their opinions of people immediately upon meeting them. This can be a diversity-killer and cause whoever is screening the CV to unconsciously overlook a candidate from a different background or demographic solely because of an unchecked bias. By using Bayt.com to hire, you can screen CVs purely based on your required skills and qualifications, removing any possible human error from the mix. You can do this through questionnaires and filters on your inbox or by using keywords on CV search to shortlist your candidates without facing the possibility of unwittingly setting aside a perfectly capable candidate for one you are more comfortable with. Do these benefits cater to a wide variety of needs? Do my family leave policies appeal to diverse candidates? Do I have dependent care programs? Have I worked relocation packages and flexible work schedules into my packages? Do I have special benefits for women, disabled individuals, or other groups that could potentially join my company? How do my benefits appeal to national / local talent? Answering similar questions will allow you to identify what areas you need to tweak or change in order to attract a diverse and large group of talent and maximize your workplace diversity. Post hiring, you should also be looking at the possibilities of making the workplace accommodating for all of your employees. One way to do this is through mentorship. The mentor/mentee relationship in a workplace is a valuable asset and can help newer employees of diverse backgrounds assimilate with the company quickly. Through building a mentorship program, you can foster relationships within your organization. Mentorship gives every emerging leader the opportunity to learn the soft skills necessary to progress to the next step. It also gives every senior leader an opportunity to offer personalized guidance and sharpen their management and leadership skills. Furthermore, mentorship programs can offer everyone the opportunity to be heard and supported on an equal platform. Remember that every emerging leader at your company deserves the support needed to grow. Beyond that, building a network of mentor-mentee relationships within your company will only increase your employees’ loyalty to one another and, by extension, the workplace. Creating a levelling framework for your company can remove any subjectivity, irrespective of how subconscious it may be, from an employee’s career growth. This is something that will have a huge impact on your employees’ careers and your retention rate. This levelling system should outline each job level at your company, noting all the required skills and granted responsibilities. The system should also detail the salary ranges of each level and the requirements necessary to move forward from one career level to the next. By doing this, you will keep pathing focused and your employees will know which skills they need to strengthen in order to advance in their careers. This is a very important step as certain groups often feel disadvantaged in the workplace. For example, more than four in 10 women, according to the Bayt.com Working Women in the Middle East and North Africa Survey, believe they have fewer opportunities for career growth when compared to their male counterparts. For companies that have promoting diversity in mind, it is important to remove any unconscious subjectivity from performance reviews in order to ensure that all highperforming employees receive the opportunities they deserve. Lastly, you should encourage your employees to learn across functions. Getting to know fellow employees of all types and backgrounds will widen their viewpoints and foster learning. You should sell them the importance of diversity and encourage them to pursue diversity in their professional lives as well as their personal lives. You can do this by setting up team lunches or gatherings. You can even expand these gatherings to allow for mixing between two or more teams. Another thing you could do is encourage cross-functional one-on-ones. Cross-functional one-on-ones are similar to blind dates. Upon receiving expressed interest from several employees, you should set up blind meetings for these employees (ideally across all levels and teams) to get to know each other and collaborate on potential projects. At the end of the day, diversity in the workplace means focusing on skills and qualifications when hiring, training, promoting, etc. and this could come naturally from an internal effort and a dedication to ensure equal opportunity in the workplace.